Don’t stare too deeply into the pattern above – it embodies Columbia Sportswear’s U.S. Design Patent No. D657093 – covering “the ornamental design of a heat reflective material, as shown and described.” The recent $3 million jury verdict in Columbia Sportsware v. Seirus Innovative Accessories appears to be the first post-Samsung verdict on design patent damages. If you remember, the Patent Act includes a special profit-disgorgement provision for design infringement damages requiring that “Whoever during the term of a patent for a design … sells or exposes for sale any article of manufacture to which such design or colorable imitation has been applied shall be liable to the owner to the extent of his total profit.” 35 U.S.C. 289. In Samsung, the Supreme Court held that, the relevant article of manufacture used as the profit-disgorgement baseline need not be the end product sold to the consumer but might be only a component of that product. 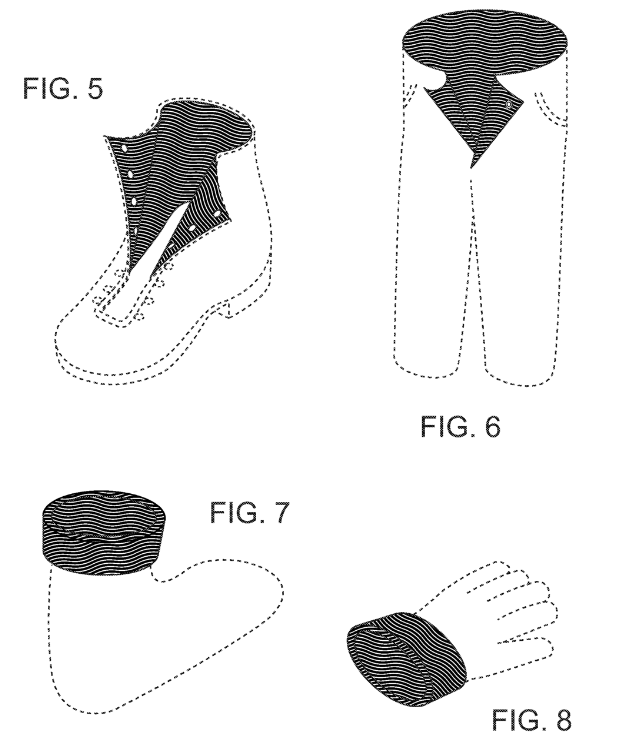 As the patent images show below, the case here involves multi-component parts (clothing) and the patented inner-layer can be seen as one of the components. Here, in Columbia Sportswear, the court instructed the jury to “First, identify the article of manufacture’ to which the infringed design has been applied. The article of manufacture may be the product as a whole or a component of that product. Second, calculate the infringer’s total profit made on that article of manufacture.” The jury instructions then explain this process as (1) first identifying whether the accused-product being sold is multi-component and then, if so, (2) considering a set of factors to determine whether the “article of manufacture” is the whole product or some sub-component. These factors include: the scope of the design as patented; the relative prominence of the design within the product as a whole; whether the design is conceptually distinct from the product as a whole; and the physical relationship between the patented design and the rest of the product. These factors match the test called-for in the Government brief in Samsung v. Apple, but that the Supreme Court declined to expressly articulate. Columbia [the patentee] bears the initial burden of producing evidence identifying the article of manufacture for which it seeks profits. Columbia may meet that burden by showing that Seirus applied the patented design to a product that was sold and further proving Seirus’s total profit from the sale. Seirus bears the burden of proving that the article of manufacture is something less than the entire product. A snippet from the jury award is included above. You’ll note that the jury was not asked to actually define the article of manufacture, but the $3 million figure appears to be Seirus’s profits on all of its infringing sales. In a bit of wild civil procedure, the lawsuit here was originally filed in Oregon but jumped down to Southern California on September 1, 2017 — less than three weeks before the trial. The transfer was deemed appropriate under the TC Heartland case. The trick is that Oregon Judge Hernandez also had himself temporarily transferred to the S.D. Cal. so that he could continue hearing the case. What do you call someone who votes for a m – – r 0n for President? Not just any m – – r 0n, mind you, but a really obvious one with all sorts of other obvious and serious personality defects in addition to being incredibly (even willfully) ign 0rant? Is there a name for someone who votes for a m – – r 0n for President? There must be an appropriate one. Why is this permitted to continue on a patent law blog? I was merely thinking that a jury member, an ordinary observer, is capable of assessing in a design patent case whether the registered design is new and has individual character, and whether the accused design creates an overall impression different or the same as the design registered. Conversely, in tech patents, lay persons (whether judge or jury) can’t tell what is or is not obvious. Max, a lay person juror is not a 103 POSITA for designs any more than for utility patents. The POSITA for design patents is a product designer for the ornamental features of products of ordinary skill in that art [which is now a well established profession]. I’ve wondered about that – do you have a cite that actually makes this designation? Is the “sub” component to which Seirus offers** to be the “article of manufacture” sold (on its own) to public? **if they have even offered something as an alternative to the entire product, that is. “Need not be” and “must not be” have two very different meanings. I am not as certain as others that design patent law damages were gutted by the Supreme Court ruling. They were gutted because of the uncertainty that now surrounds the damages calculation. For well over 100 years, the infringer paid its total profit on sales of the end product that incorporated the patented design; that number was easily calculated, at any point in time, by the patent owner and alleged infringer, which facilitated early settlements of disputes. Everyone knew how much money was at stake, and the only issues were validity and infringement. SCOTUS (really, Samsung) has made the total profit number a moving target, requiring great resources to prove up, and thus adding uncertainty and cost to the dispute, which favors infringers and disfavors patentees. Especially small companies who can ill afford the cost of developing the needed evidence. Small companies who used their design patents to keep knock-offs off the shelves of the big box retailers. The Wal-Marts of the world are incentivized to keep copying, and the little guys will not play the game anymore. Gutted. You know what’s even easier? Just have a predetermined number like $1 billion dollars. Then you don’t even have to calculate! I wonder if there’s any problem with that. But who cares? It’s easy. And it’s certain. MM, you are a coward, tossing absurdities and criticisms and then hiding behind the skirts of anonymity. What’s your real name, and where can I find you? Pseudo and anonymous critical exchanges have a long and valued history in this country. Malcolm’s cowardice does NOT attach because of his pseudonymous nature. They attach because he does not fully engage and engage in an inte11ectually honest manner. Rather than engage in a dialogue, his modus operandi is to “engage” in a drive-by monologue style. It is less of what he says (although to a certain degree what he says IS nonsense) and more of HOW he says it (and how he continues to say it – eleven and half years running – on this forum. I’m not going to get into a big back and forth with all of the anonymous folks on this blog, with whom I have little quarrel. But I never said “out yourself or you have no value”. I did say that if you are going to spit out ad hominem attacks directed at me, you’re a coward if you don’t put your real name on it. I was responding to what you were doing by drawing a distinction that it is NOT the pseudonymous – or anonymous nature that is offensive. You cloud the issue of what makes blight in this forum by trying to attach “name” to the exchange of ideas that the comment section is supposed to engender. As I said, I do not disagree with you that Malcolm is a coward. He most definitely is one. I don’t know too much about design patents, but how is it that there is not good prior art for that design? 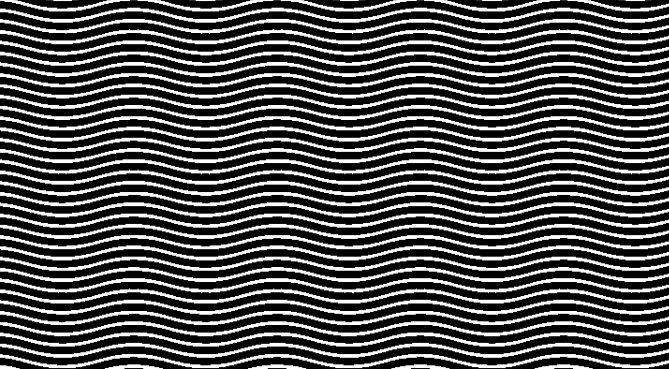 No one else has ever had a similar wavy pattern in any product at any time in the history of the world? One reason is that the Fed. Cir. treats 103 differently for design patents even though they have the same 103 statute. See “Design Patents §103 – Obvious to Whom and As Compared to What?” Patently-O, Sept. 17, 2014. And this disgorgement of all profits thing for designs – come on, Congress. These things aren’t inventions, they’re doodles. Sort of like rounded corners on a generally rectangular tablet being held in one’s hand. a discontinuous array of discrete heat-directing elements, each independently coupled to a first side of a base material, the heat directing elements being positioned to direct heat in a desired direction, wherein a surface area ratio of heat-directing elements to base material is from about 7:3 to about 3:7 and wherein the placement and spacing of the heat-directing elements permits the base material to retain partial performance of the transfer property. Thank you Dennis. I enjoy such “wherein” claims. When I see one I can’t help imagining it as a EPO style c-i-t claim, where what follows the words “characterized in that” is that which i) delivers the function of conferring patentable novelty on the feature combination claimed and ii) reveals what is the patentable inventive step over and beyond the boundaries of the prior art. Presumably the claim you show us, stripped of what follows the word “wherein”, lacked patentability. So let’s concentrate on what follows “wherein”. First, a range that in practice isn’t a limitation at all. Second, a functional limitation (“partial”) that isn’t a limitation at all. Not the greatest USPTO achievement, I would think, letting this one through to issue. But, Atari Man, stacking IPR is not wrong though, is it. In a product design there often is not only copyright but also a fair basis for a utility patent, unregistered design right, registered design right (and in due course a trademark registration as well). The harm comes in granting a scope of protection that is wider than the contribution to the art deserves. Rarely a problem with design rights, but often a problem with utility patents. Wow – you want to apply the c-i-t to wherein clauses…?